Support will come from Bad Company, Hank Williams, Jr. and more. 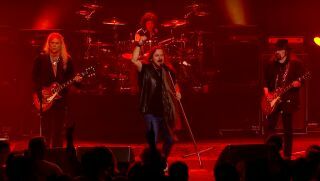 Lynyrd Skynyrd have been out on their Last of the Street Survivors Farewell Tour since the spring of 2018. Now, the iconic southern rock outfit have announced a new leg of what is being billed as their final trek, scheduled to kick off May 10 in Tuscaloosa, Alabama. The band will be joined by Bad Company, Hank Williams, Jr. and Cody Jinks on select dates. Tickets are on sale February 8 at 10 A.M. local time. You can check out the full itinerary below. For more information, head to LynyrdSkynyrd.com.